Budapest in my opinion is definitely one of those cities that almost anyone would enjoy visiting. It is the perfect blend of history and modernity and it has so much to offer! It’s definitely the right place for a digital nomad. Here’s my 3 day Budapest itinerary, I recommend that you club it with Prague so you can see both cities in 8 days. We took the overnight train from Prague, which was I admit..a little scary. Please take care of your belongings as there are thieves at night who will try to open your cabin and rob them. However, they do not appear to be violent, which is a good thing. The round trip on the train costs US$80 approximately for a bed in a 4-bed couchette. We arrived at the Keleti station and decided to take a bus to our hotel. There were 4 buses that could take us there. 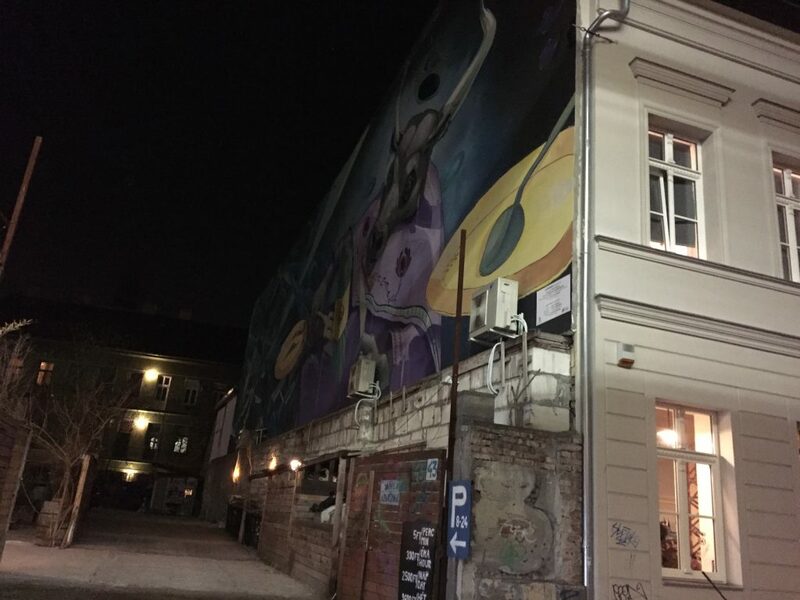 We stayed at one on Vaci Utca called Promenade City Hotel, which is near to Vörösmarty square, a main square of the city where you can access FREE walking tours. The first one we embarked upon at 3.30pm was a Communism tour. The tour lasts from 2.5 to 3 hours. I must say, out of all the Budapest tours we embarked on this trip, this was definitely my favourite. I really do love history, so the tour guide Ursula successfully traced the time of the regime and we saw unique things like bunkers, a soviet union memorial as well as silent protests from Hungarians, and the country’s stance against Jews in the second World War. An oft-protested controversial memorial. 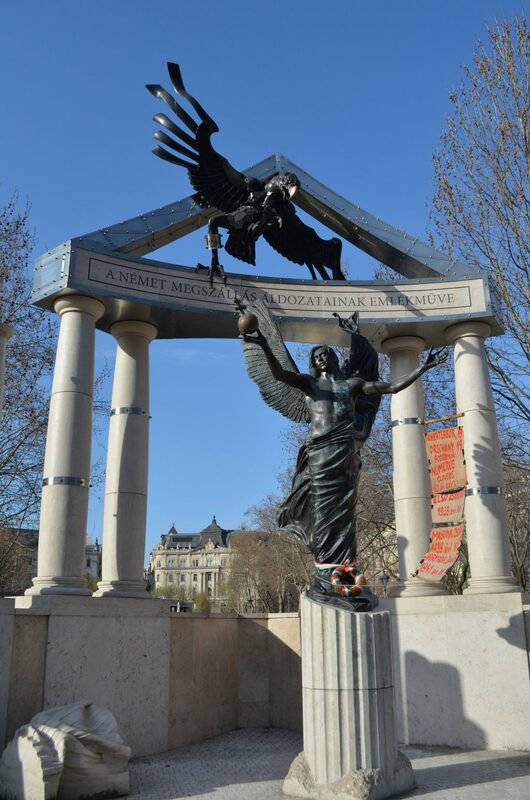 The eagle representing the Nazis over an angel believed to be Hungary. After the tour was over, we headed for a late lunch to Bankharom. It’s located right behind the American embassy down the lane. Hungarian pancakes (palasinta) are definitely a must-try, and this place serves up some of the best! 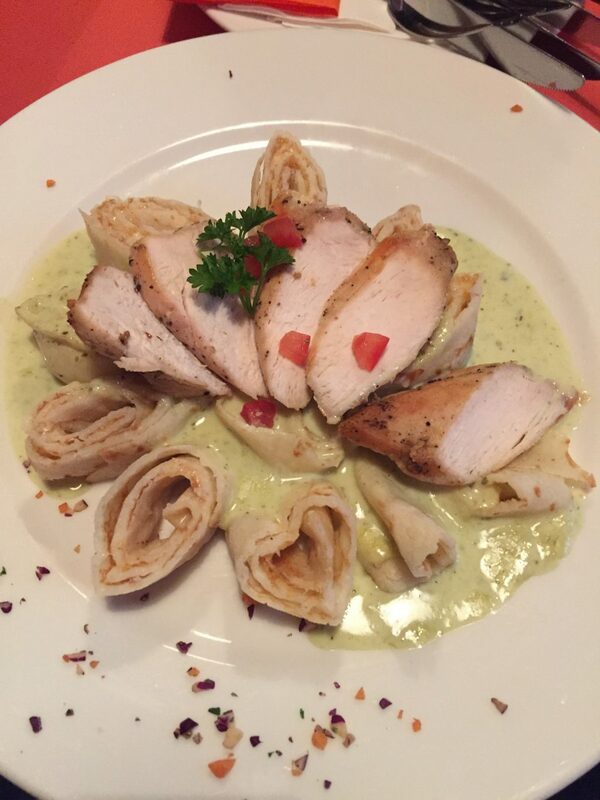 We tried a variety of them, the four cheeses, bacon wrapped chicken, pesto chicken and a delicious chocolate and mascarpone pancake. They have lactose free and gluten free options too. We then headed to visit the ruin pubs. 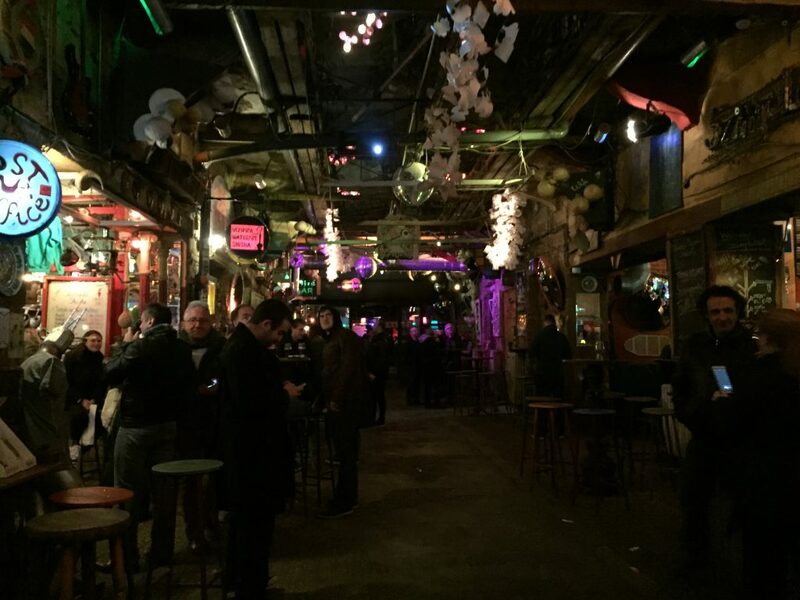 If you’re not a pub person, I suggest you head over to only one, Szimpla Kert. This place is nothing short of whacky. Ruin pubs are pubs that use old heritage buildings, add a bunch of vintage memorabilia and very potent drinks. Often, they occupy whole buildings with a different theme in each room. The streets look rather unsuspecting, but it has so much more! How whacky is this place? We then went right opposite for a late night gyro. Perfect drunk food to round out the first day on this trip! We decided to do the 10.30am walking tour of the city right from Vorosmarty. This took us all the away through the city’s main sights and ended on the Buda side of the city. 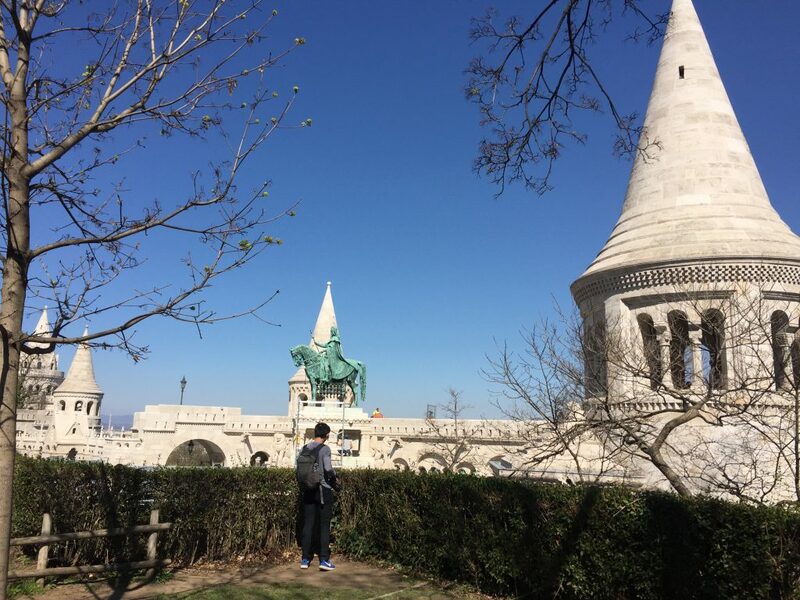 While Pest I think is definitely more happening, Buda is more historical; with the castle and the stunning Fisherman’s Bastion (which, surprise surprise looks nothing like a marina-side thing at all! It is infact a castle-like lookout point where you can see everything from.) The palace’s original facade no longer exists, it has now been changed. At the end of the tour, the tour guide will offer to show you to a Hungarian restaurant. Oblige, and try out their veal paprika (pronounced paprikash) with dumplings made of flour and egg whites. You won’t regret it. After that we headed to the Szechenyi Bath. Baths are something Hungary is very famous for. 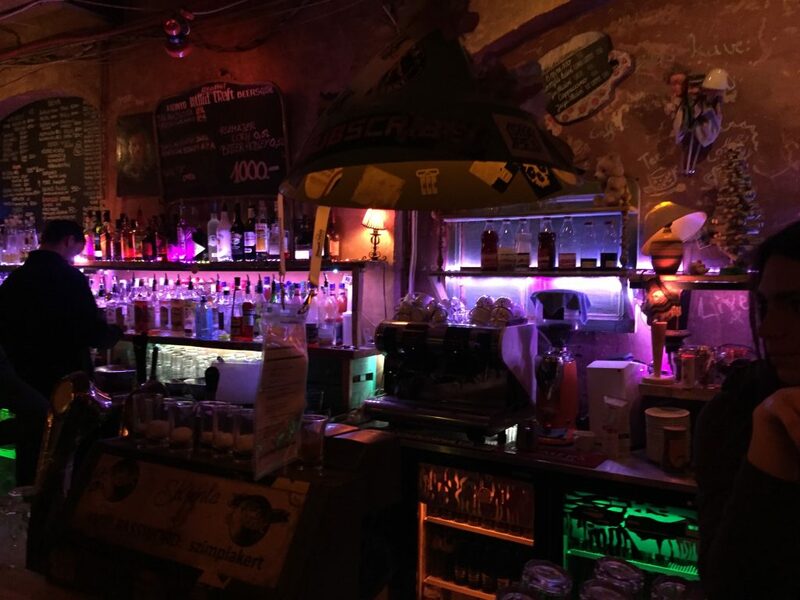 This pub is by far the most popular in Budapest and a must on your 3 day Budapest itinerary. On weekends they even have parties. It’s a few stops away from the Vorosmarty metro and costs around US$18. We then went to try the pub crawl later at night which was an absolute blast for 10 euros, again starting from Vorosmarty at 8pm. We got to try out local Hungarian liquors: the palinka,unicum and tattratea. We also had a go at one of their local wines. There are plenty of craft brews available as well. There is a place called The Ponte which is newly opened and definitely worth a stop. The cool new ‘Pont’ has atleast 4 different party places. On the last day of the 3 day itinerary of Budapest, we headed out to check out the Parliament, but because it was so expensive for non-EU nationals, we skipped it. 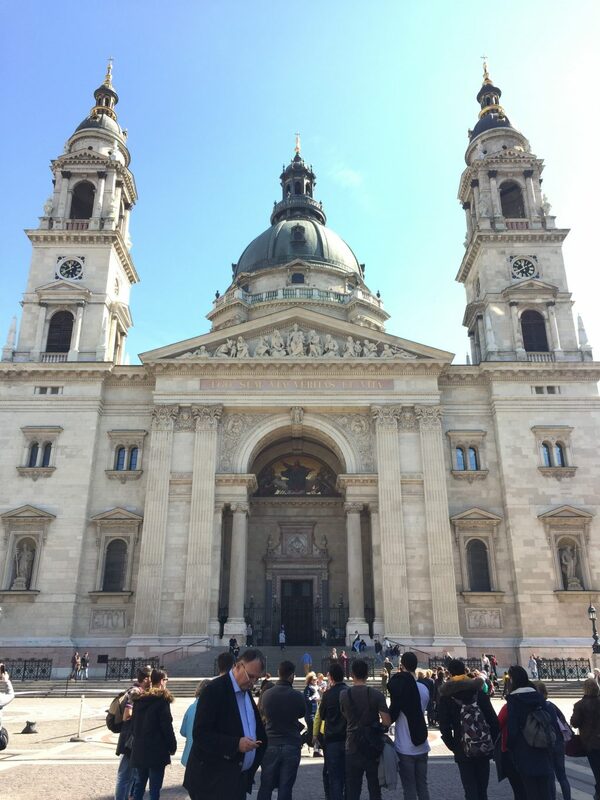 Instead, we headed over to St. Stephen’s Basilica which was quite beautiful. We also walked by the river Danube and discovered the famous ‘shoes’. These are reminiscent of the Jews who were shot into the river. We also headed to the market hall walking but I recommend the short, scenic tram ride there instead. There you can purchase fresh produce, different sausages and fresh food. However, none of us enjoyed it though. We stayed at the Promenade City hotel during our stay which was at such a great, convenient location near Vorosmarty square. We took the train to Budapest from Prague, after which we took a short bus ride there. 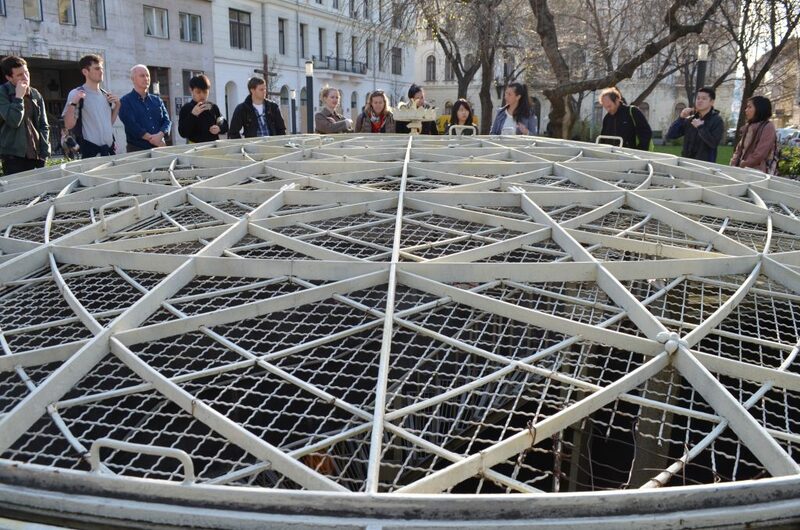 All the free tours start from Vorosmarty square. For other hotel options, click here. WhoAa! 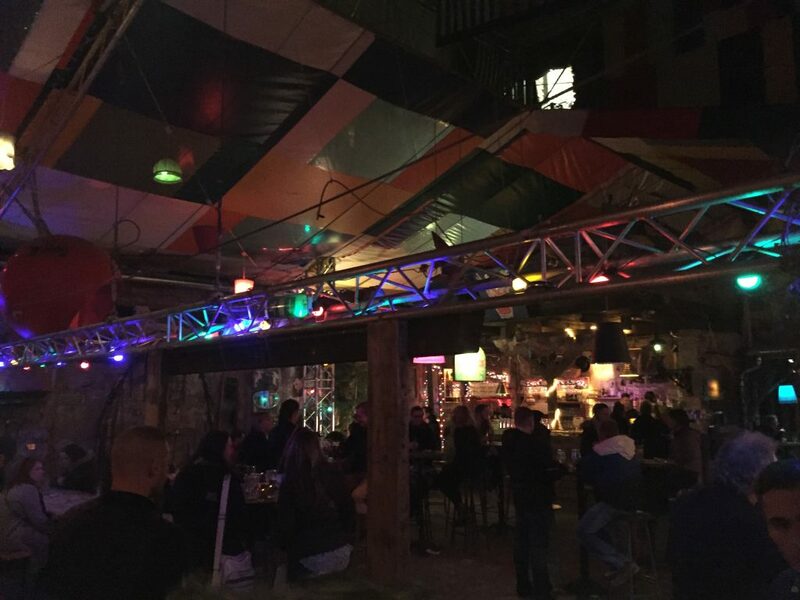 Aside for goregous archistectures and amazing buildings, they do have cool bars eh! Thank you for the itinerary idea! Would love to visit Budapest in the future! Looks like a nice city! 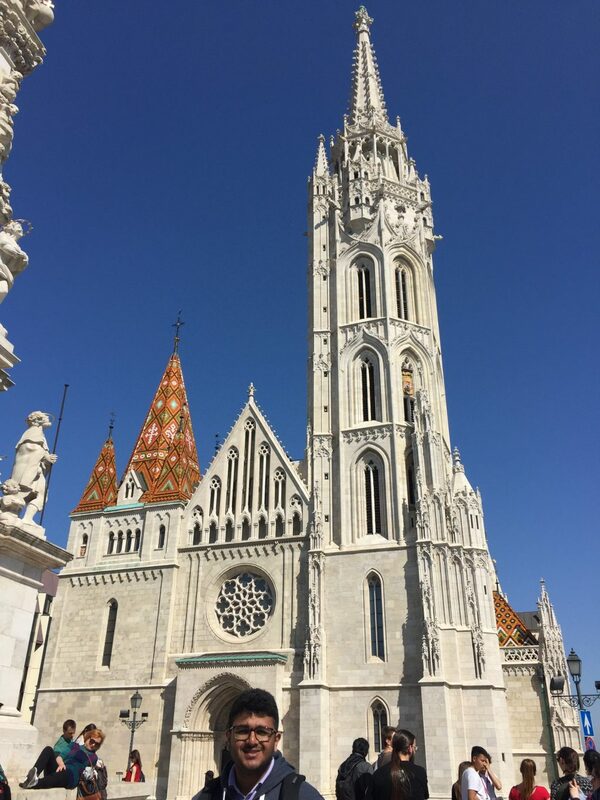 I have been to so many cities around and I usually love the Eastern European vibe – so now I’m getting excited also by Budapest. Amazing architecture and the hot springs also look cool! Though its quite creepy seeing those shoes near the bank, it becomes symbolic and very emotional. And a work of art. I love Budapest, it’s truly one of the cities I wouldn’t mind living for a few years in, and I think you did a good job of capturing why! 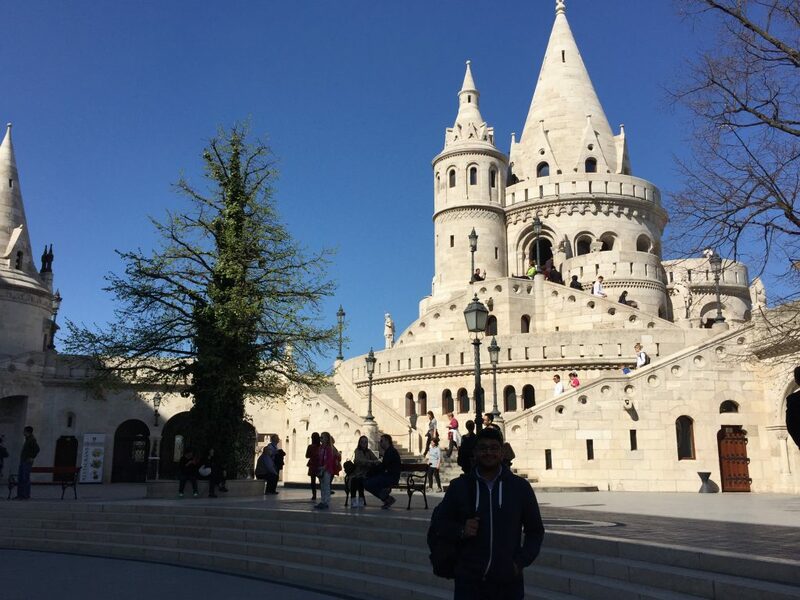 Budapest was the first city that I visited abroad! And your photos remind me of those days when I was a teenager and everything was so new and inspiring! Wow! I really hope to Budapest sometime in future! I love history & heritage too so I guess I’d enjoy the walking tours as well. Good to know its free!!! Just the sight of the Shoes by Danube is definitely disturbing and depressing!! Never been to Budapest, but now it feels like i will go soon. Best part about your write up is all the locations you put and the bful photographs. 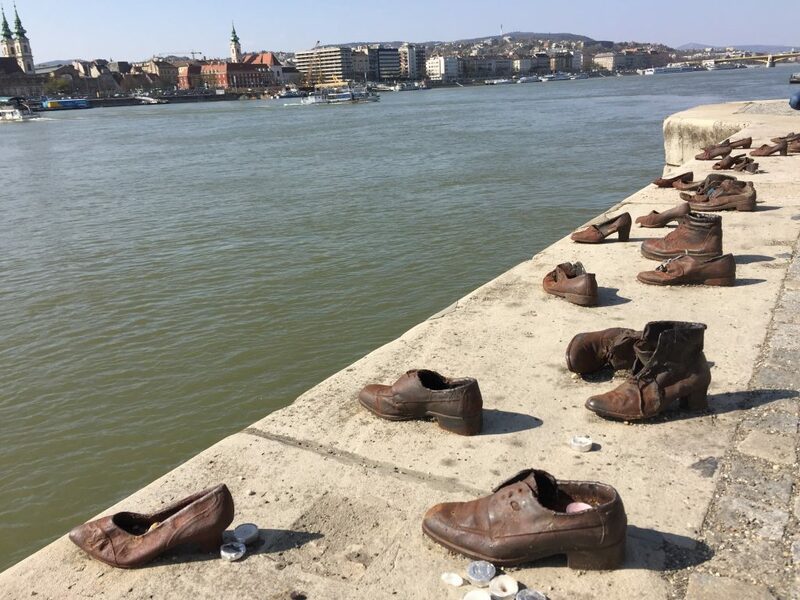 Something very interesting – the shoes of Jews along the river where they were shot but it is emotional too. 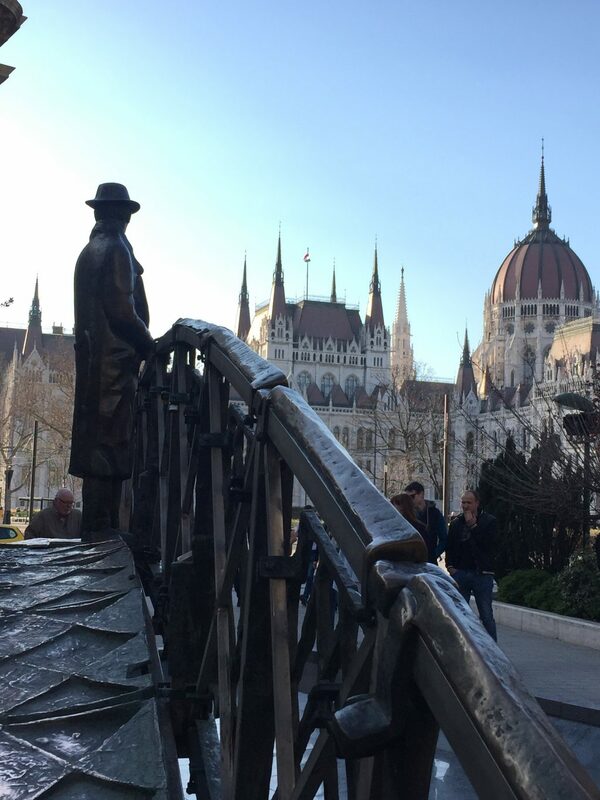 Budapest has lots of history and amazing architectures. I will love to visit it someday. Beautiful clicks. Going to Budapest in a couple of months and absolutely LOVE this itinerary!! I’m so glad you shared this. I love walking tours and history so we will definitely look into the Communism walking tours. Also, a pub crawl for only 10 euro? That sounds absolutely amazing!! Adding literally all of this to our itinerary. I’ve never heard of ruin pubs before. I’m honestly not a pub person but the concept is just so so appealing. Just for that it would probably top my list. Awesome itinerary! 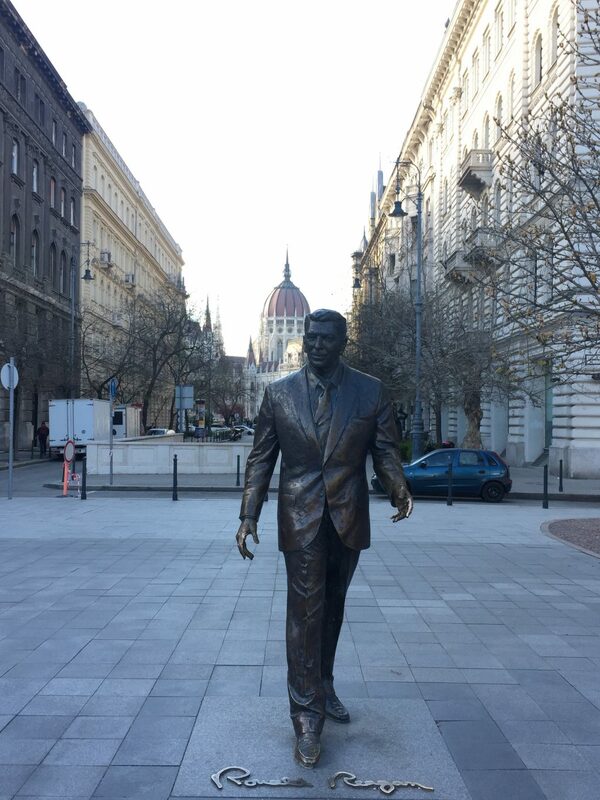 I absolutely loved Budapest and was disappointed I never got to join a free walking tour. Next time! Those shoes tell a sad tale, however, your Budapest travel looks amazing and superbly organised. Lovely write up! What a great guide! I am thinking of doing the thermal baths, but considering that I am there only for two days as opposed to three, I am not sure if I would leave too much out. What do you think? Which things would you leave out had you stayed only for 2 days? Budapest is definitely do-able in 2 days, though it might be a bit hectic. I’d maybe leave out the Buda tour; just walk over there and take pictures and then double back and continue exploring Pest, which has a lot more to see and do altogether! Budapest has so much to offer. I loved the time that I spent in the city. The ruin pubs are quite an experience and such a unique concept. 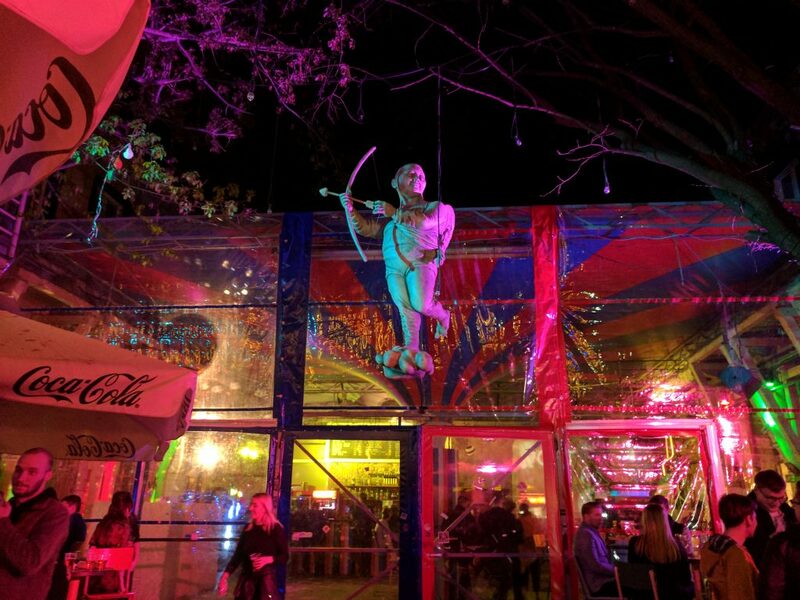 Visiting Szimpla Kert was interesting, weird and kitsch all at the same time, but I loved it!